The River City Sportsplex is the nation's largest pod of synthetics, thus dubbing it The Tournament Mecca in the USA. 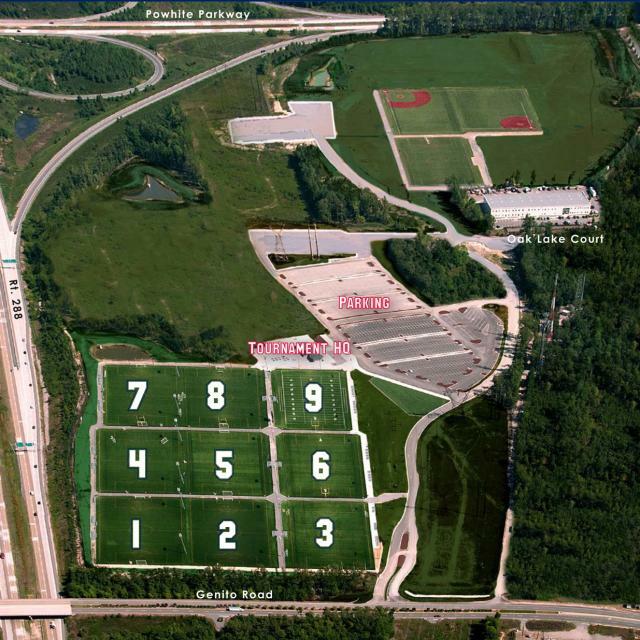 The complex offers 12 synthetic rectangle fields with 9 fields having Musco capped lighting. The River City Sportsplex has contracted elite regional and national events including The Jefferson Cup (soccer), The Ultimate Cup (soccer), IWLCA Capital Cup (lacrosse), IWLCA Champions Cup (lacrosse) and a host of multi-sport events. The River City Sportsplex is within a 6 hour driving distance to 30 million people conveniently located near the I95 corridor, Richmond International Airport and major population centers of the Mid-Atlantic.